Boehner Backs Paul Ryan for President - GOP Elites Go for the Steal! 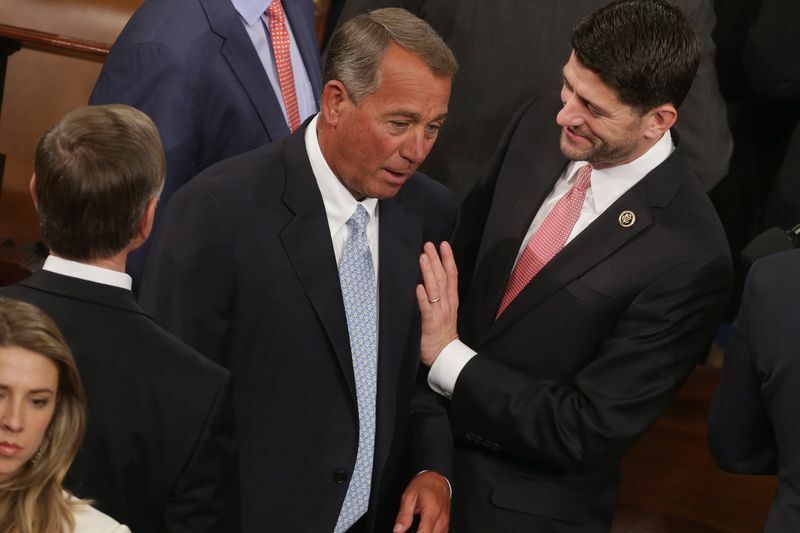 Boehner Backs Paul Ryan for President – GOP Elites Go for the Steal! Former Speaker John Boehner endorsed Paul Ryan for president today – the day after Donald Trump won 4 of 5 states in Super Tuesday 2.0. The elites don’t give a damn about the Republican base and this is more proof. Wading into the GOP nominating battle for the first time since leaving office last fall, Boehner said that “anybody can be nominated” at the convention in Cleveland this summer. Boehner, who now splits his time between Florida, Ohio and D.C., had long whispered to friends that he believes Ryan could be the party’s political savior if it came to that.